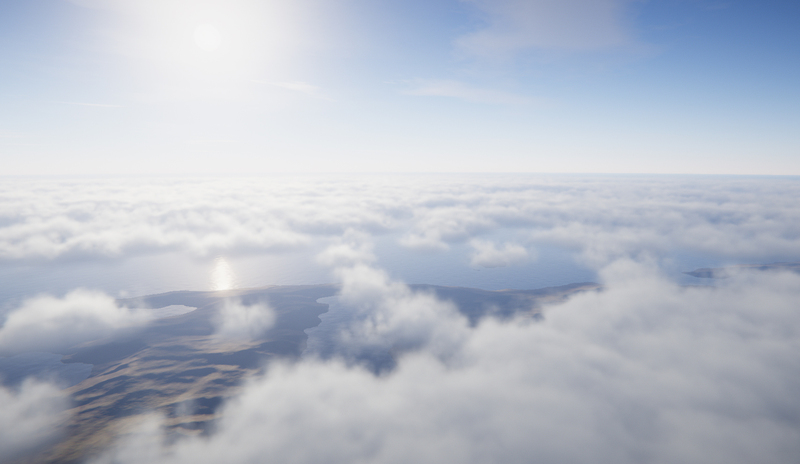 Based on the latest papers on volumetric rendering and accelerated by a unique particle-grid rendering method, OverCloud supports a fully volumetric, ray-marched cloud plane. 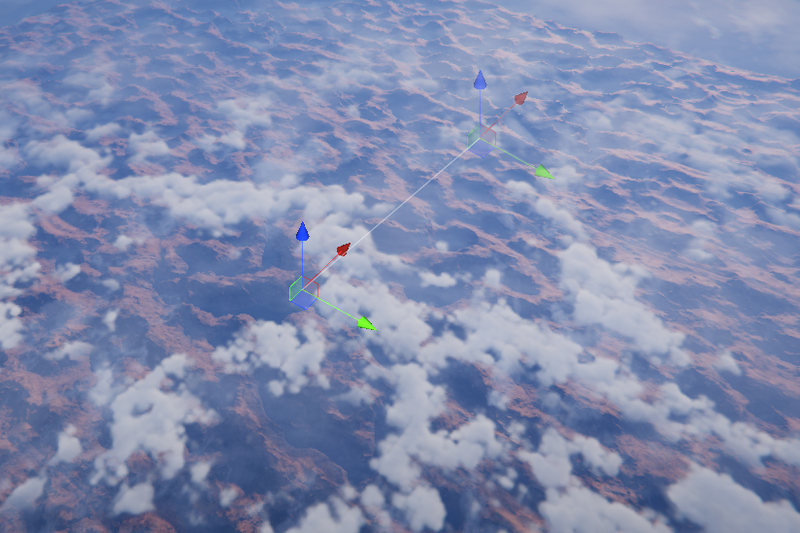 Supports cloud shadows, cloud ambient occlusion, density probing on the CPU and more. 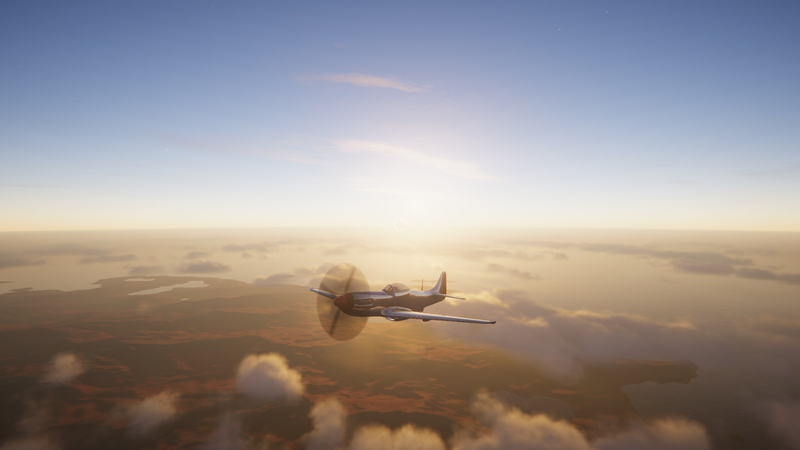 OverCloud includes a tried and tested pre-calculated atmospheric scattering solution which is used to render the sky and aerial perspective. 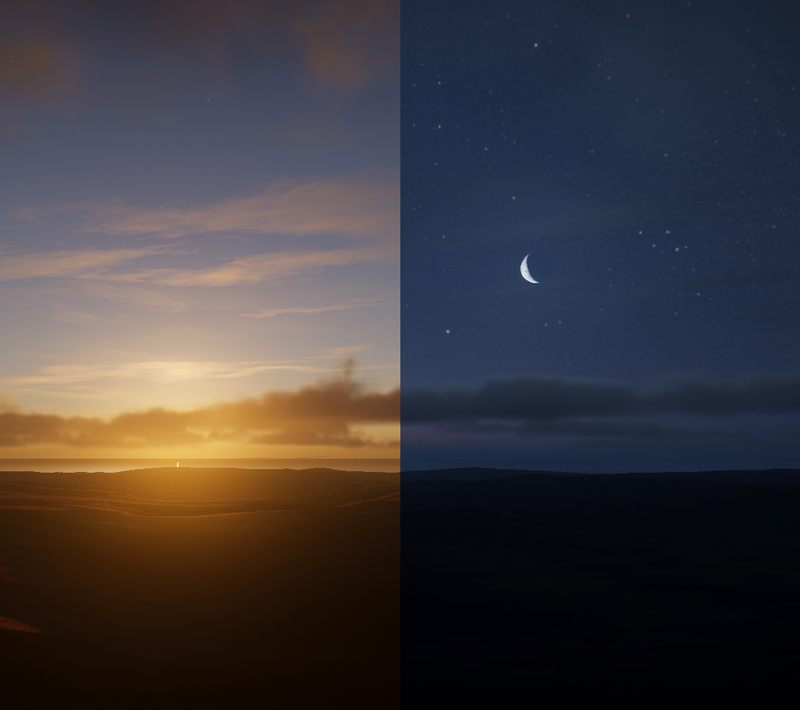 It also automatically fades the scene into the skybox based on the far clip plane, so your world always blends smoothly with the atmosphere. 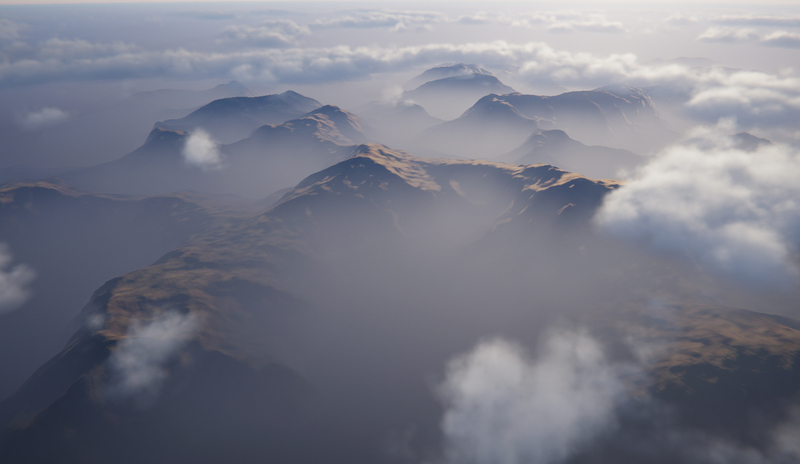 OverCloud supports a global height-based volumetric fog effect, which perfectly blends with the atmospheric scattering. The fog volume is "truly" volumetric in that it properly attenuates the sky when the camera moves down into it. OverCloud generates crepuscular rays which take into account both cloud and world shadows. 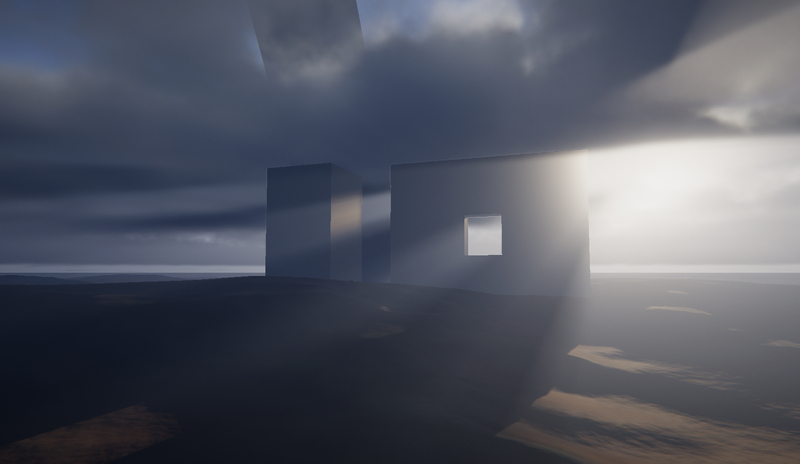 Additionally, it supports volumetric point and spotlights which mix perfectly with the global fog and clouds. Set year, date, time, latitude and longitude and watch the sky position itself correctly. 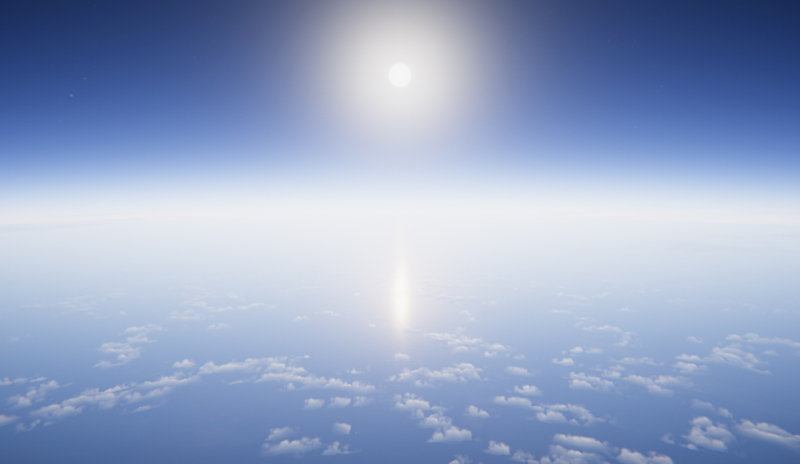 Sun and moon elements are properly rendered in the skybox with physical sizes, it even supports solar and lunar eclipses. OverCloud is not limited to ground-perspectives. View the clouds, atmosphere and height fog from any altitude and angle. All effects support rendering in the scene camera (via main camera hook) so you can tweak the result without having to run the game. 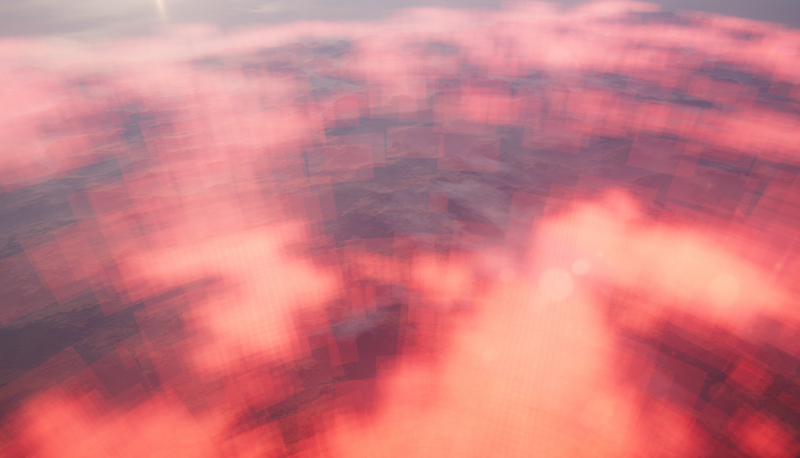 Tweak a number of parameters for the clouds and sky. Smoothly fade parameters between different presets. Supports adding your own float variables which can be used to drive custom effects. OverCloud supports modifying albedo and gloss of surfaces below rainy clouds, and can dynamically occlude wetness from surfaces that should be protected from rain (such as the inside of a building or under a protruding cliff). 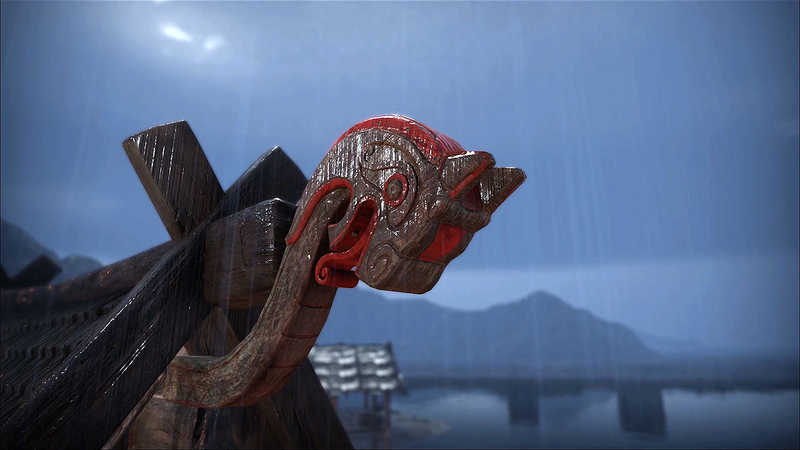 It also features animated rain ripples and vertical flow. 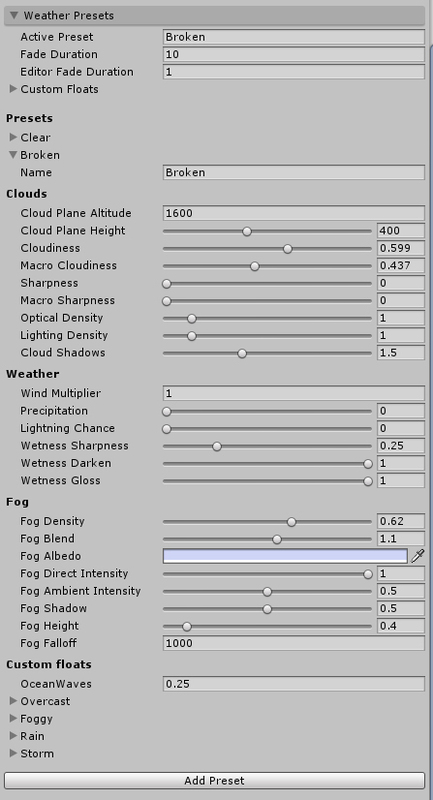 OverCloud uses a unique method of rendering the cloud volume which saves a lot of fill rate. Additionally, quality settings and effects can be customized per-camera. 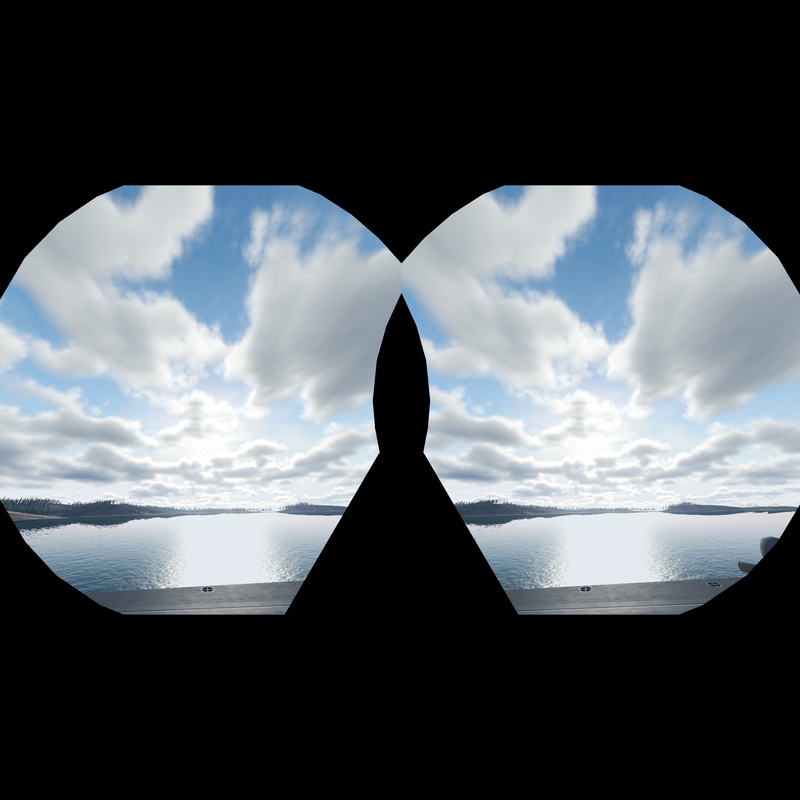 OverCloud was born out of the need for a robust volumetric sky solution for a virtual reality project. All effects are stereo-compatible and VR performance has been at the forefront of the development at all times (supports Multi-Pass and Single-Pass). 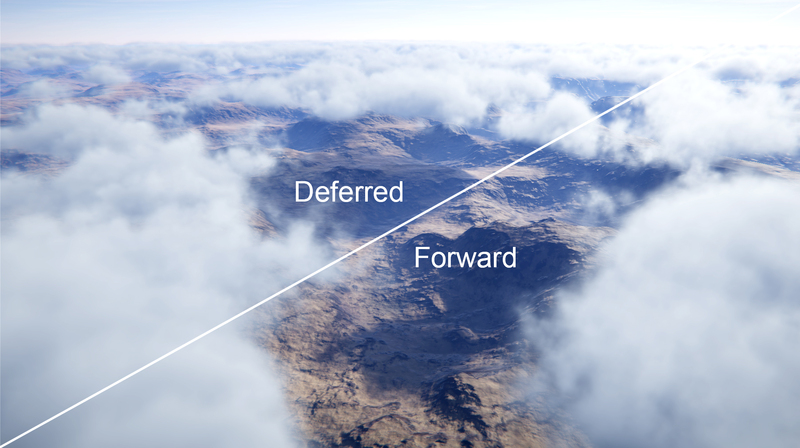 OverCloud works in both forward and deferred rendering paths. Some effects are limited to deferred (cloud AO and dynamic wetness) but can be implemented in forward if you are using custom shaders. 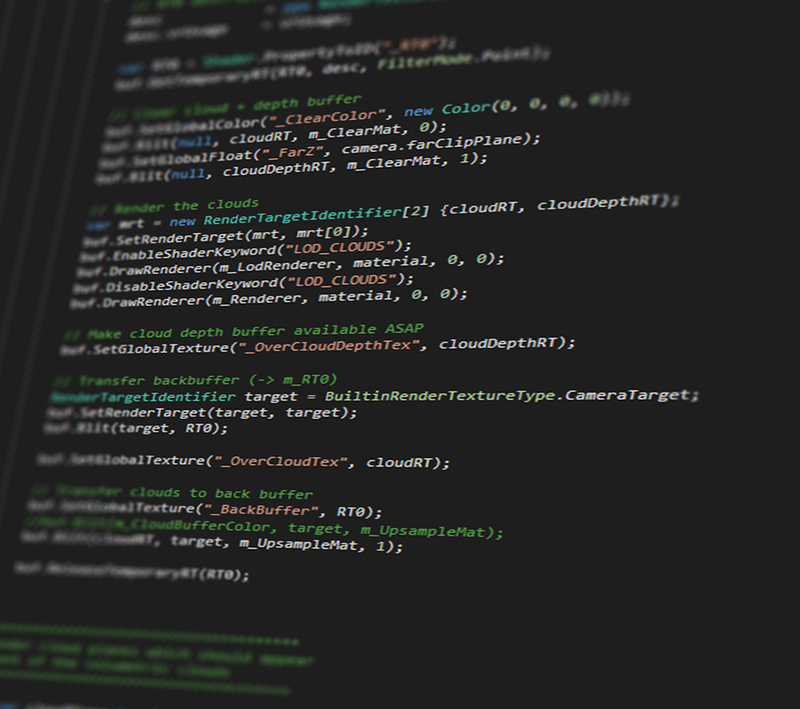 All code is written in C# and HLSL, and is fully accessible and commented. 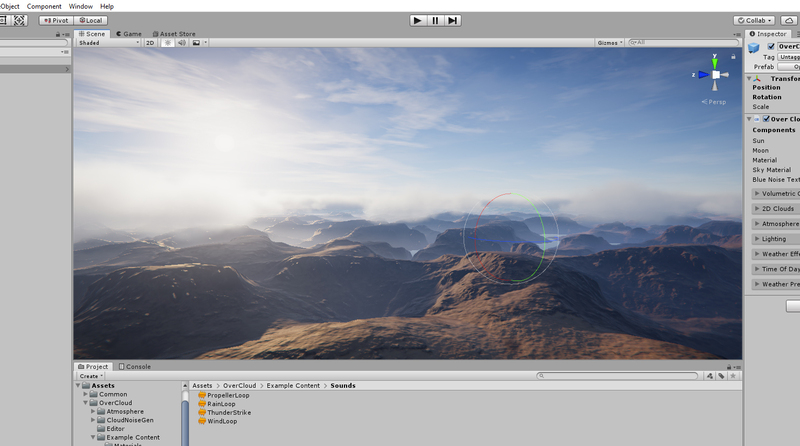 OverCloud features a set of functions for moving the rendering origin of the world, a must if you are creating huge worlds in Unity. Copyright © 2019 Felix Westin. All rights reserved.